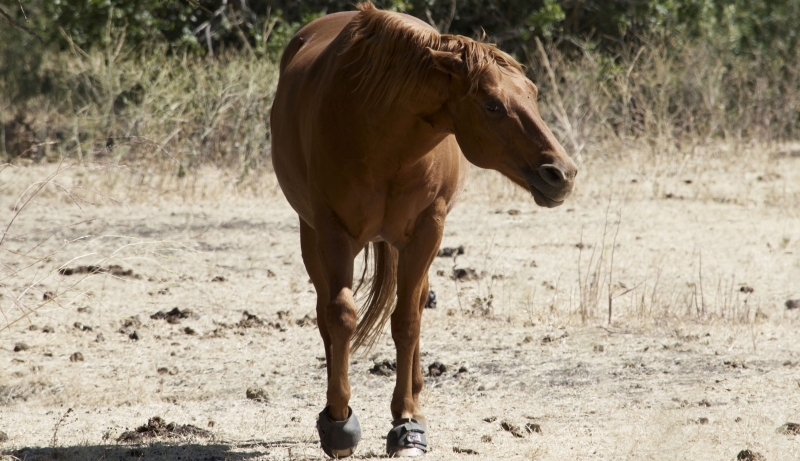 Lonely Shy Horse taking a stroll. My girlfriend noticed that his ears were pinned back, which gives the impression that he noticed me from a distance paying attention to his strong, firm stature. Nevertheless, he was beautiful and Galant on this hot summer day.